From the beginning of our adventure in Panama, we already knew we wanted to be organic. From the start, every parcel that we acquired was natively organic, meaning that our lands have not been exposed to prohibited substances. 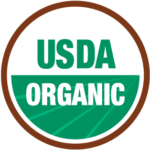 You can even say we were “organic de facto,” later confirmed by certified authorization. We became the first large scale organic farm in Panama. How do you like them mangoes? For that reason, we were instrumental in helping to set organic norms and certification processes in Panama with the New Control Authority of Certification of Organic Agricultural Production using Simply Natural Farms as one of their case studies. The rest is history. The humming bird is the first bird to leave its habitat when farming practices are damaging the environment. Inspired by the quickest bird on the planet, an inherently smart creature, we decided to incorporate the Colibri into our emblem.